Fall is over, which means that many of our favorite pumpkin spiced treats are out of season. But don’t let this stop you from falling in love with your favorite fall treats once again! 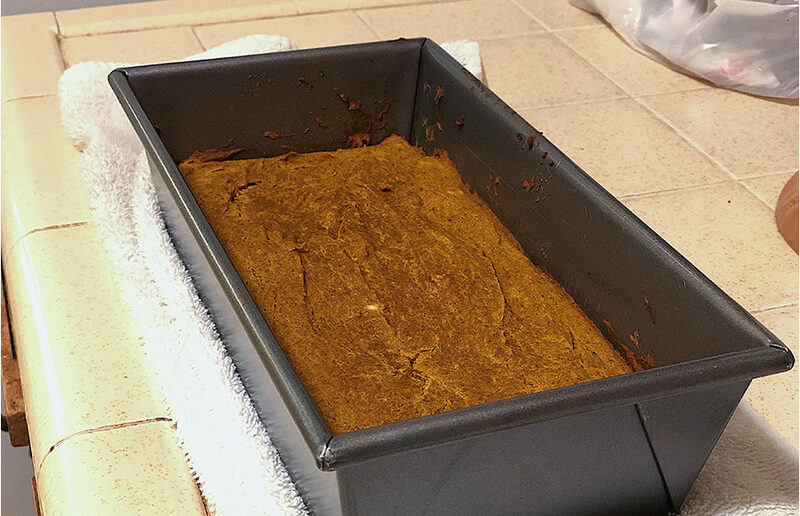 Pumpkin bread is extremely easy to make, and there aren’t many ways you can completely mess up the recipe (unless you end up baking it for more than two hours). Naturally sweetened with honey, this recipe will leave you begging for more! Preheat the oven to 350 degrees Fahrenheit and grease a 9×5-inch loaf pan. Allow the loaf to cool for about 20 minutes before devouring. Have you fallen back in love with pumpkin bread? We hope so! Happy baking, Golden Bears!